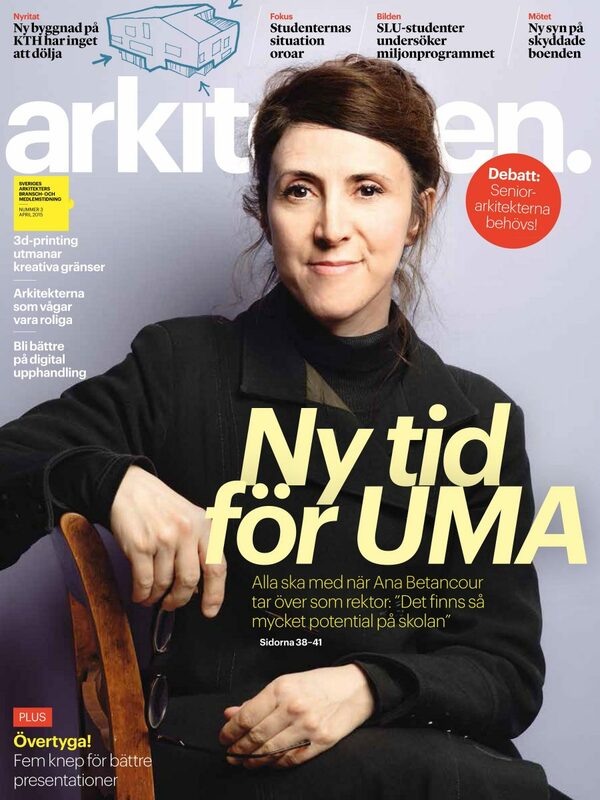 In Rum magazine no 192 / 2018, Matilda Stannow writes about Kjellander Sjöberg’s project Elderly Care Skärvet under the heading “The bright future”. 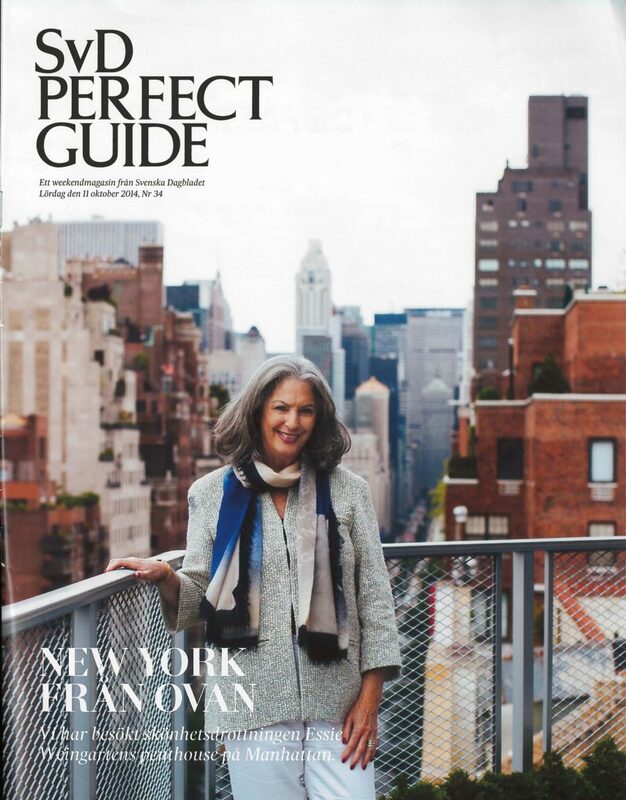 Lena Viterstedt is interviewed and describes the work with the tiled façade elements and the roof top terraces. 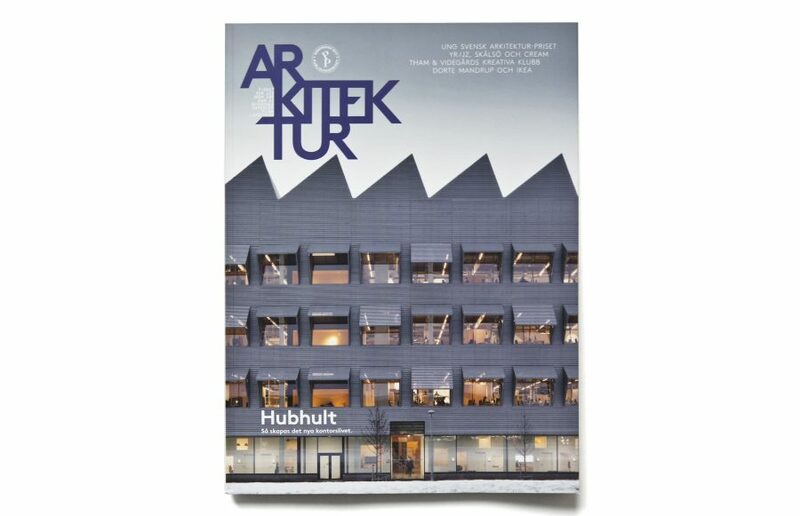 In the same issue, Stefan Sjöberg is interviewed regarding Rum magazine’s nomination of the exhibition Commoning Kits for the Architecture of the Year-award. 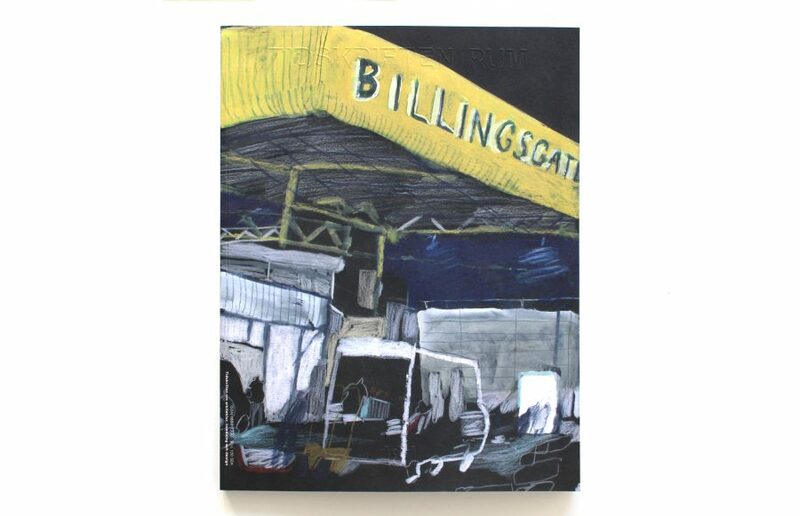 The interview focuses on work processes, visions of the future and the conceptual-based work as a driving force. 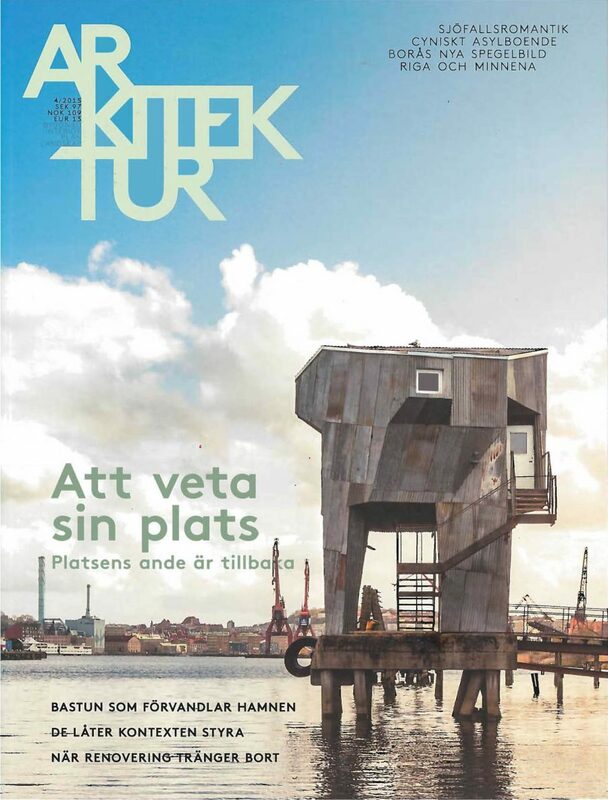 In the latest issue of the magazine Rum, Cecilia Öfverholm writes about KS’s exhibition Commoning Kits in the article ”Urban space”. The article highlights citizen dialogue and urban commons, important discussions about integration, social urban spaces and meeting places. Stefan Sjöberg, together with exhibiting architects discusses the possibilities and challenges of today´s society; what we need to build apart from housing to create identity and qualitative development in urban districts and how we can create vibrant and dynamic cities. 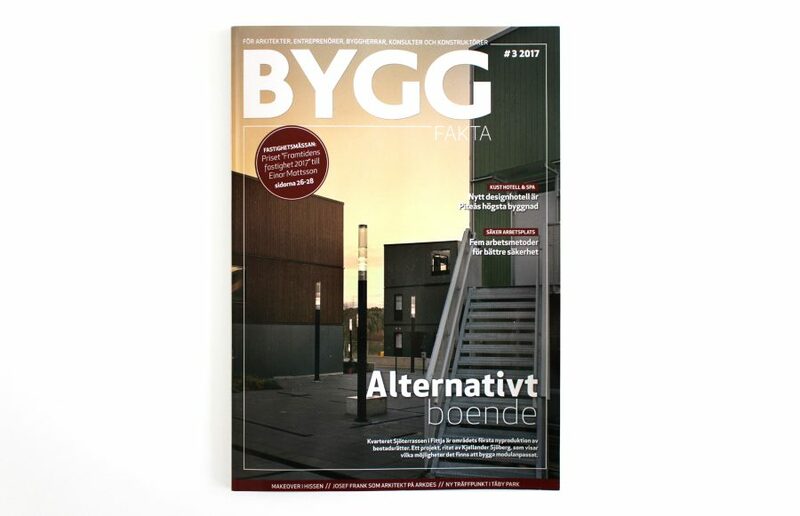 KS’s project Fittja Terraces is on the cover for the newly released Byggfakta. The article highlights the detail work and variety of housing types and the possibilities that modular architecture offers. Stefan Sjöberg is interviewed, describing the project and its focus on social sustainability. 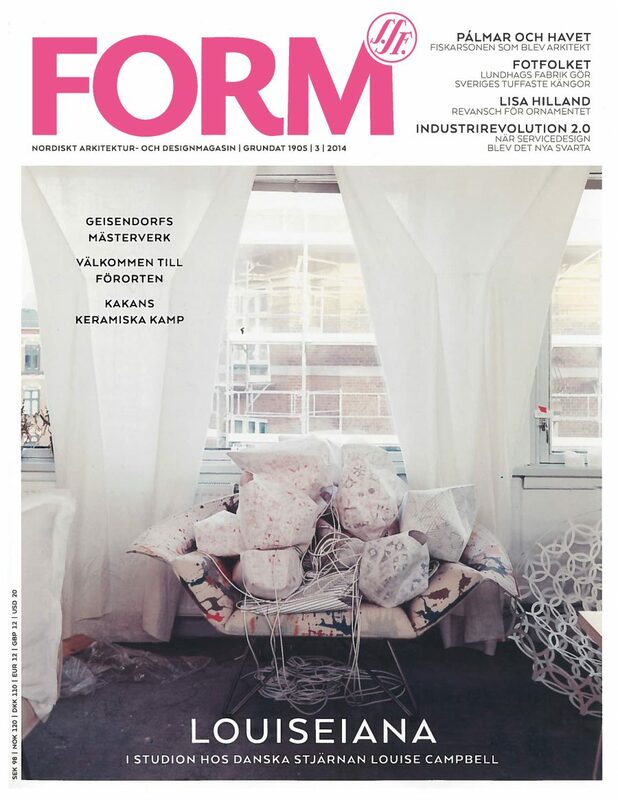 In the article ”M as in Malmö”, Katarina Rundberg writes about the restoration of Malmö food hall and its impact on the city. 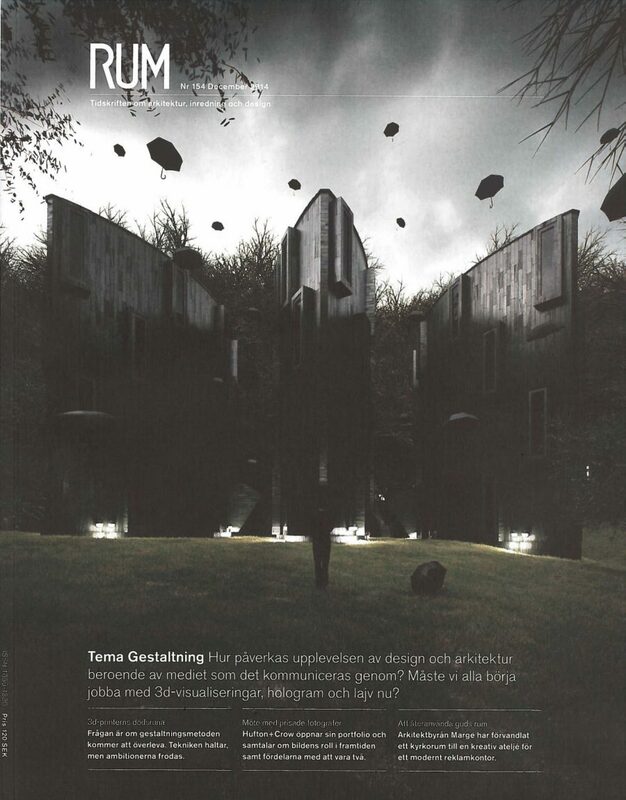 KS’s interior design concept for the listed building and former freight depot is illustrated in the article. 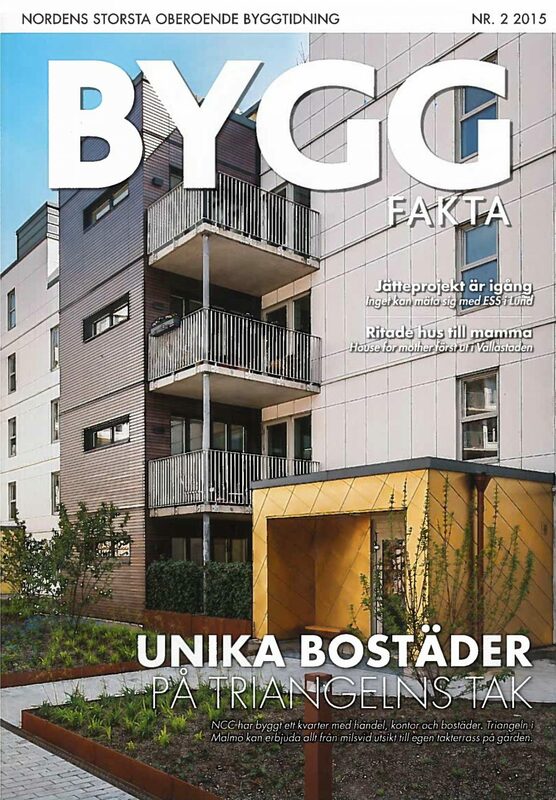 In the latest issue of the monthly magazine RUM, Emelie Strömfors writes about Maja Gräddnos, KS’s housing project in Annedal, Stockholm. The article highlights the inviting architecture through form and urban design strategy, as well as the careful detailing in the facades. With a vision of creating variety in urban spaces and streets, offering diverse qualities, Maja Gräddnos in its dynamic design brings movement to the block and connects private and public spaces. 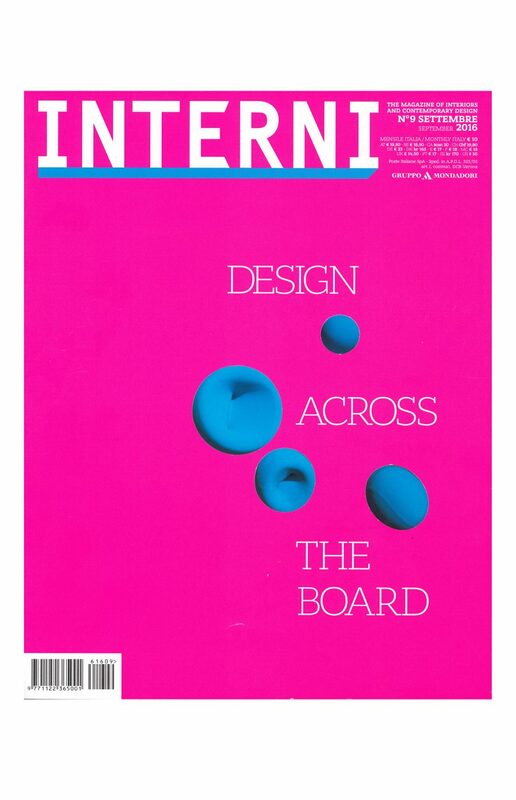 Lena Viterstedt, partner and creative director, is interviewed. 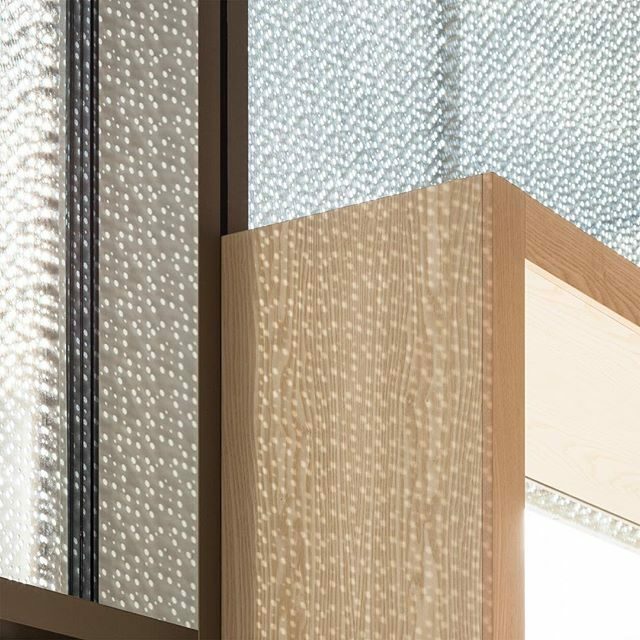 Kjellander Sjöberg’s project Fredriksdal is certified with the Nordic Ecolabel and the facades are of environmentally friendly and sustainable ceramic tiles. In addition to the environmentally friendly building materials, priority has been given to low energy costs, green roofs to which increases the greenery between the houses and a joint car pool. The article contains an interview with KS’s Mi Inkinen (CEO) and Malve Söödi. 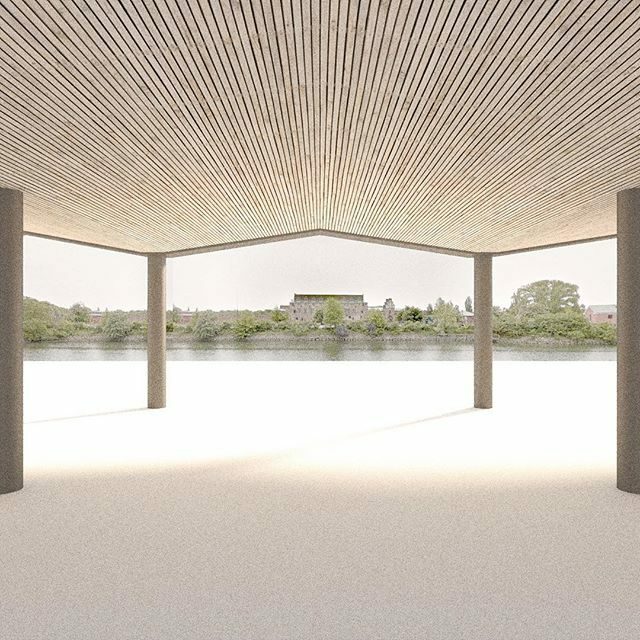 The article looks closely at the Nordic contribution to the Venice Biennale 2016. It highlights the sustainable and spatial qualities of Kjellander Sjöberg’s exhibition and pavilion ”The Forests of Venice”. In the article “The garden of good and evil”, Salka Hallström Bornhold writes about the high politics of the Venice Biennale 2016, and about the best exhibitions. KS’s pavilion and exhibition ”The Forests of Venice” is illustrated in the article. This year’s curator of the Biennale has requested architecture from the front. But the team behind the Nordic Pavilion doesn’t seem to take the theme seriously. Stefan Sjöberg sheds some new light on the street: As cities grow denser, we need to approach the streetscape in a completely new way. We must see beyond static zones and regulations, says the architect Stefan Sjöberg, who calls for mixed-use streets which are generous and open for all. In new and dense neighborhoods, there isn’t always enough space for parks, football pitches or youth centers. We simply need to make use of what we have got. The article discusses innovative technological tools that are available to architects and designers, enabling design solutions that almost sound like science fiction! Kjellander Sjöberg’s CEO, Mi Inkinen and partner Ola Kjellander, discuss the opportunities that 3D technology offers their industry. “Renders are one thing, but everyone knows that they can be manipulated. Being able to show a physical model in the early stages to clients and politicians is an advantage. Simultaneously it enables us to experiment in a different way than you can on a screen. “says Mi. Both Ola and Mi believe in the 3D-printer as a tool which can regain some of the architect’s lost authority. When you can print out parts of the building itself, you are no longer dependent on subcontractors’ too often mediocre stock range. 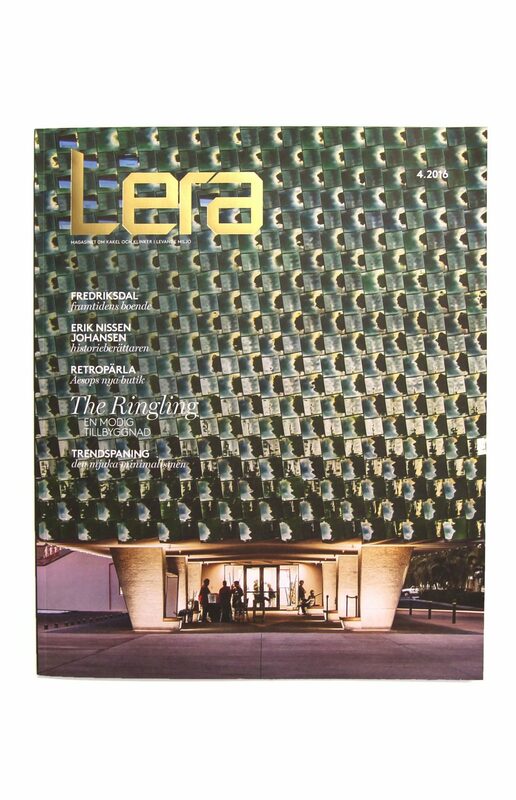 Kjellander Sjöberg’s Lena Viterstedt – partner / creative director and Saki Azodi – communications / architect, discuss the urban density of Stockholm and new forms of urban life in the city, in DI Weekend no. 12-2015. With soaring housing prices, the four walls of homes are increasingly pressed into a bare minimum, relocating practical tasks out to communal spaces. “It will become more common for residential buildings to have shared workshops, car pools or roof gardens that for example, can supply a restaurant located in the same building. 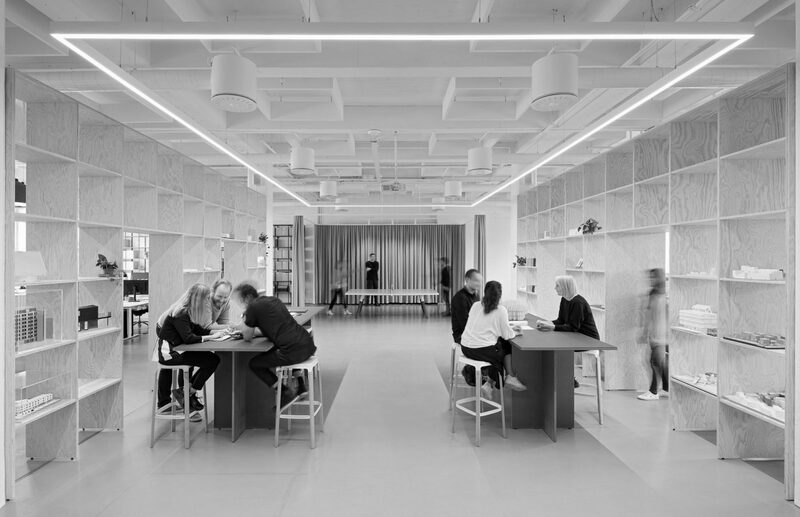 This facilitates for increased interactions amongst residents, providing other forms of values, which makes up for the smaller flats.” Explains Lena Viterstedt. Kiruna must be relocated, the aim is for the city to have a new centre within five years. The article writes about those who are designing and building the first phase of Kiruna by the city’s new square. The square is centered around the town hall and the block designed by Kjellander Sjöberg, includes new housing around a green courtyard with a vernacular natural character, where sustainable strategies for storm water and ecological opportunities for the local flora and fauna to spread across the elongated urban structure is implemented. In the latest edition of RUM, Kjellander Sjöberg’s project Skärvet is mentioned as an exciting, diverse, small-scale project with an urban character. 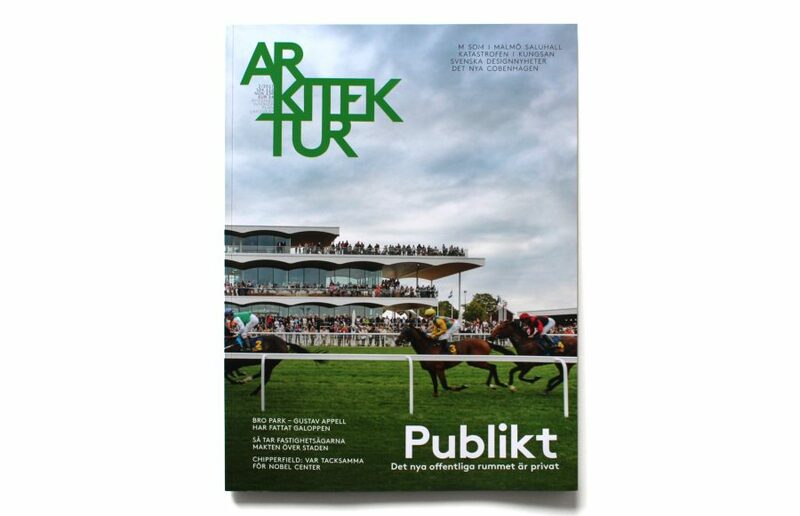 In Arkitektur no. 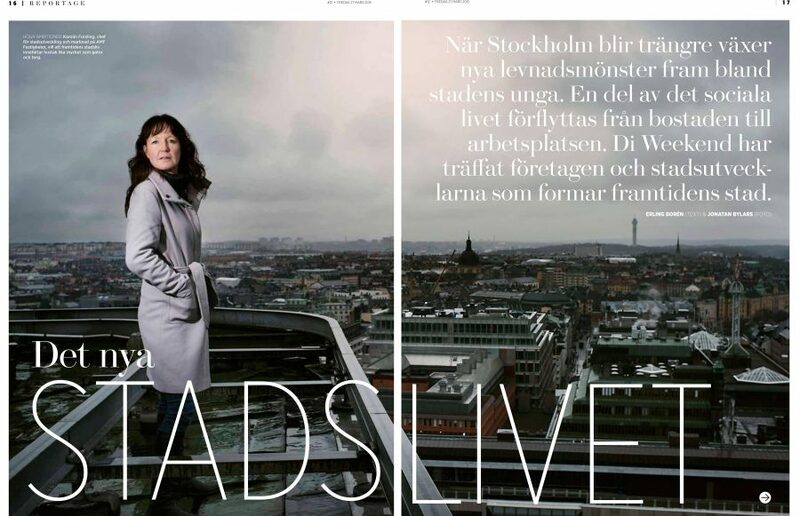 7, 2014, the editorial team discusses the current Swedish housing gap. Kjellander Sjöberg’s project Sjöterrassen is referred to as a good and innovative example of a newly built housing project. 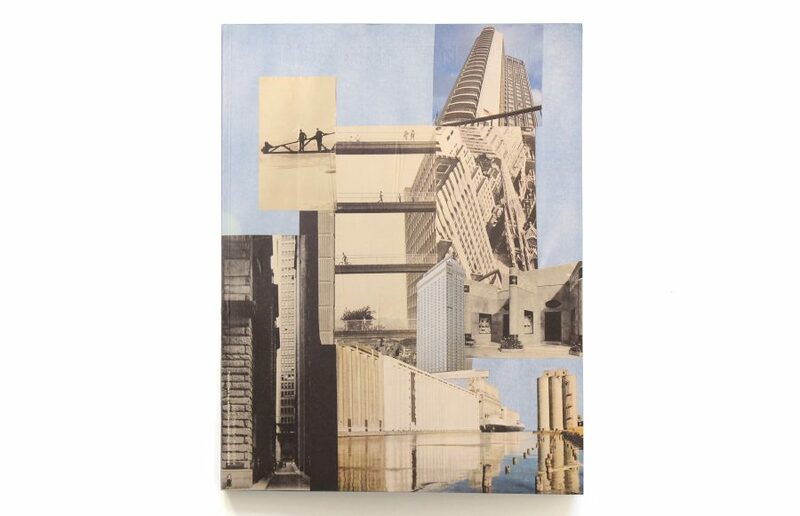 “Sjöterrassen adds a sequel to the story of human habitat that the industrialized construction has helped creating. Some lessons have been learned. Technology has been toned down. 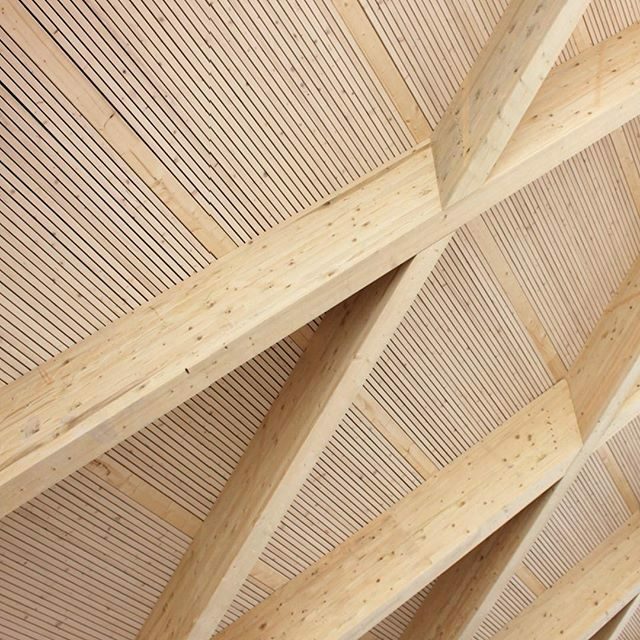 What emerges is lively architecture, which demonstrates that quality can be created if one shows care for the resources available, rather than having access to large quantity of resources. 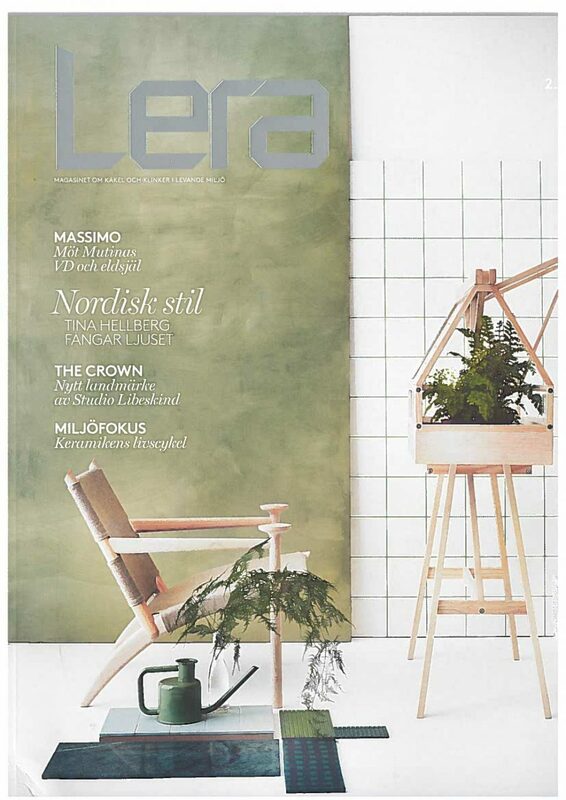 The article lifts out Kjellander Sjöberg’s project Etaget as an example where accommodation is not merely about four walls and a roof but about how we live our lives and where high functionality and beautiful materials are incorporated into an inspiring aesthetic whole. 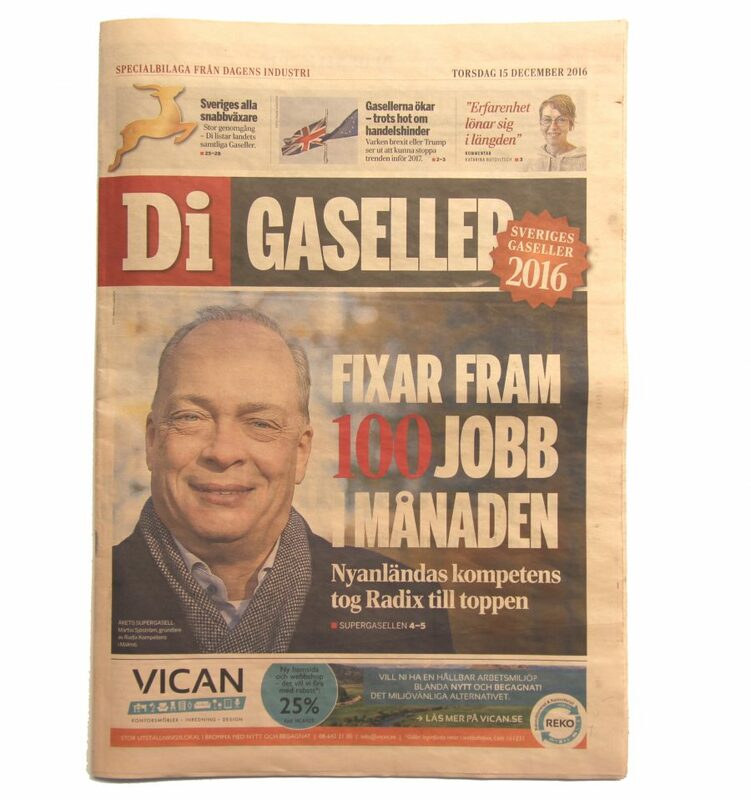 The article points out Kjellander Sjöberg as one of Sweden’s most skilled architectural practices. 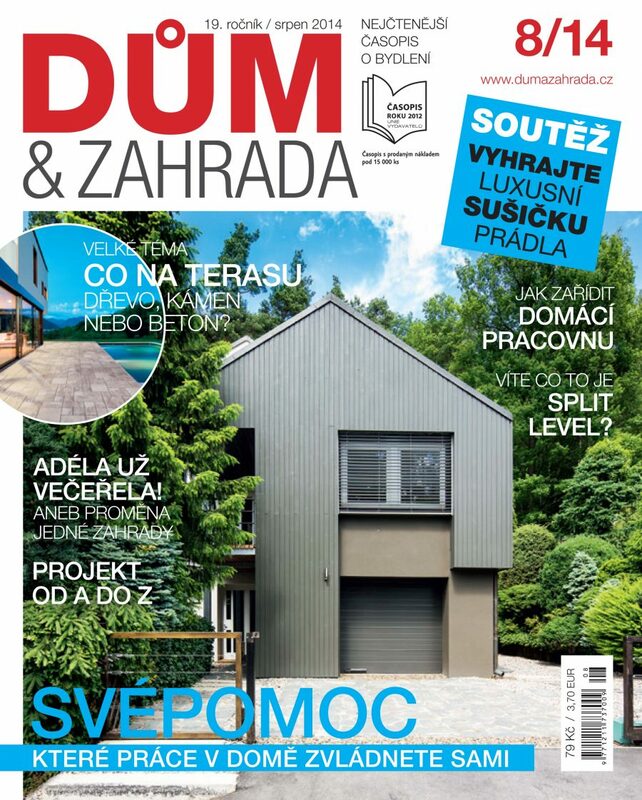 DUM & ZAHRADA (HOUSE & GARDEN) is a Czech monthly magazine, focusing on the family house – its architecture, construction, interior design and garden design. 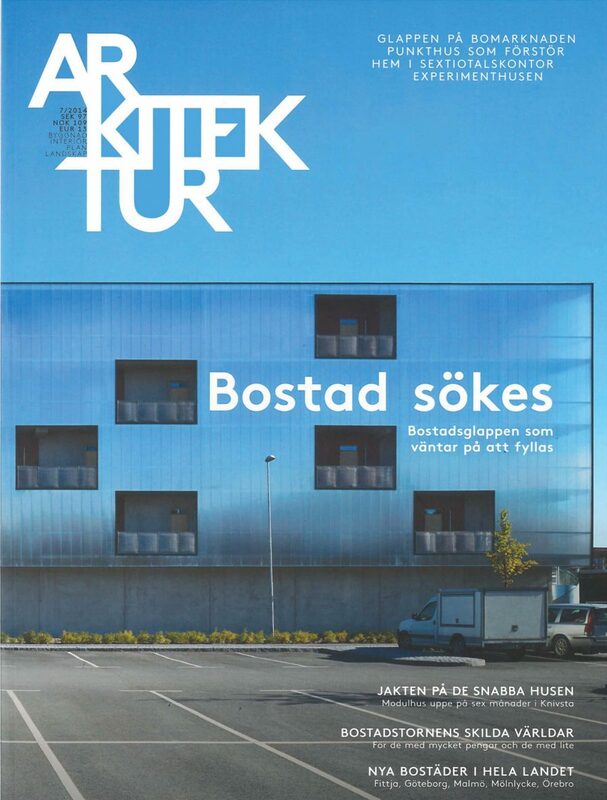 KS’ project Sommarnöjen was featured in the August 2014 issue under the “Visits Abroad” section as a remarkable example of the Scandinavian housing architecture and design. 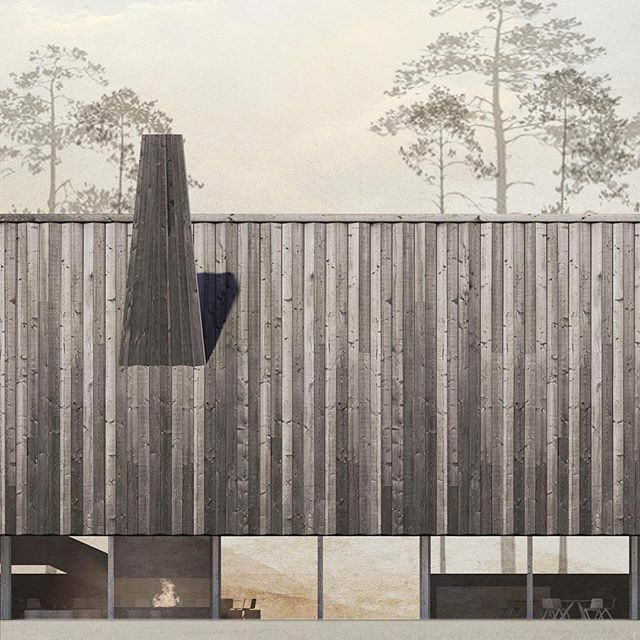 The article offers an inspiration and a different perspective on summer houses to its readers, highlighting the flexibility of the proposal. 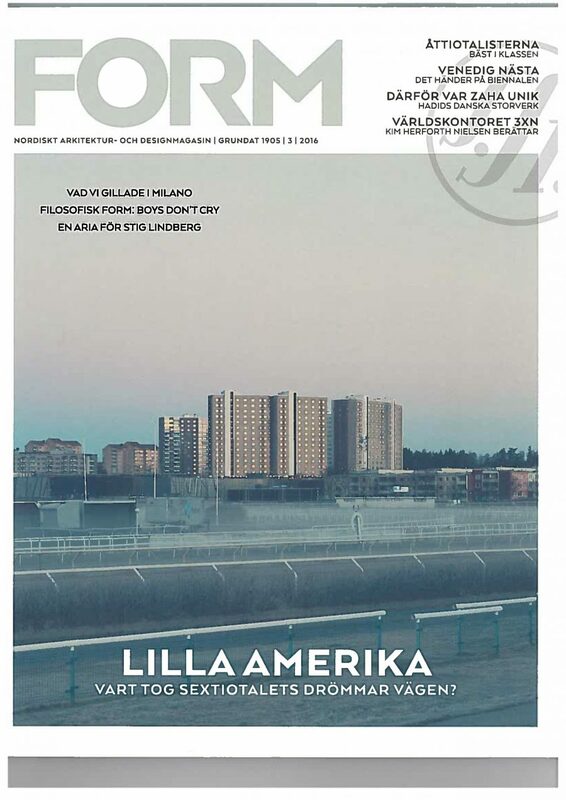 In the edition 3, 2014 Kjellander Sjöberg‘s project Sjöterrassen in Fittja is highlighted as a remarkable architectural addition in a socially complex site-context – one of Sweden’s prime examples of the million program’s industrial architecture which often has been subject to negative portrayals. KS project is considered to “serve as an example of how new additions may create variation, enabling locals launch onto the property ladder and contribute to the area’s long-term development. The fact that the dwellings are mostly bought by people from the area indicate that the project hit the nail spot on the head.